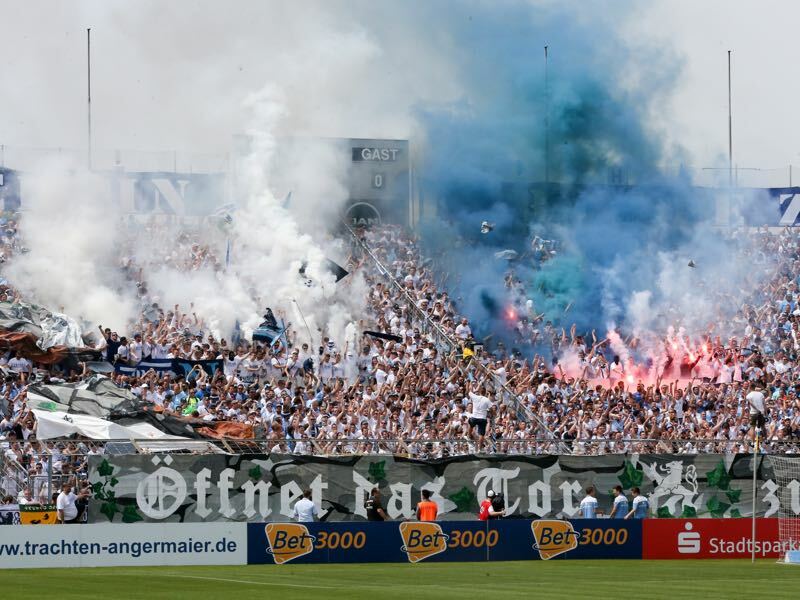 It may have been an away game for 1860 München in Unterhaching, but in truth, the majority of fans were supporting 1860 in the S-Bahn Derby against Haching. Most of the media was also there to write about 1860 and listen to head coach Daniel Bierofka. The disappointment was palpable in the media box. 1860 were after dominant, and forward Adriano Grimaldi alone should have scored two or three in the derby, at to that goalkeeper Marco Hiller had kept out a penalty – and it would have been a fantastic derby story for die Blauen. But the scoreline was tight, just 1-0, until the last moments of the game and with the last chance of the game, Unterhaching equalised. No surprise then that Daniel Bierofka was disappointed. 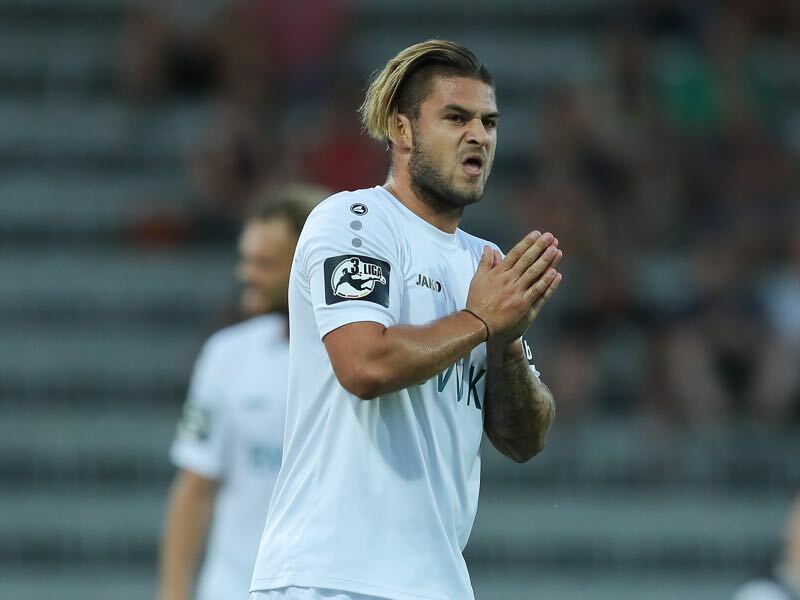 “We just get scored on too many times in the last minute,” Bierofka said, “it is a learning process, but of course we can’t be happy.” It was not the first time that 1860 had conceded in the last minutes of a Liga 3 game this season. 1860 would go into Monday’s game with 17 points from nine games and would have the chance to jump to second in the table had games been whistled off after 90 minutes. But instead of 17 points, 1860 got just 12-points and sit in tenth place on the table. The statistic highlights two things. 1860 have the talent to compete in this league but still, lack the stamina to be competitive. 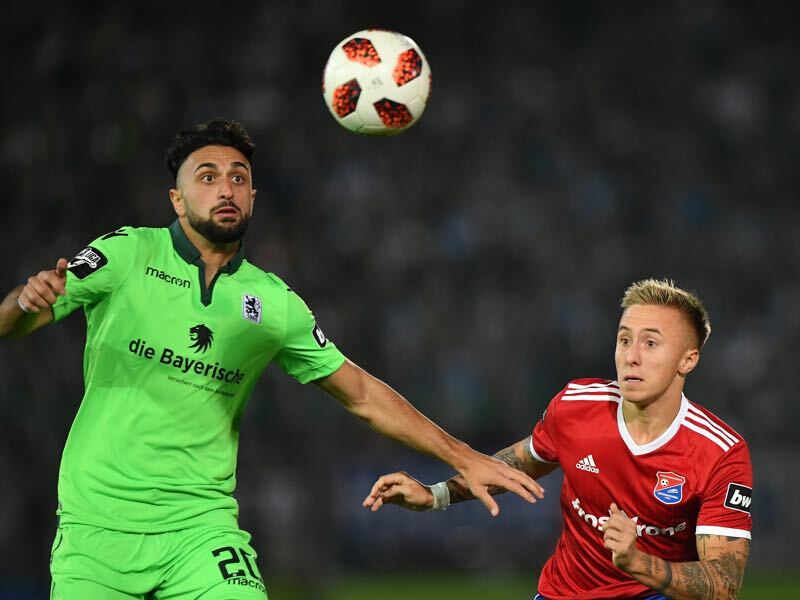 Last season in the Regionalliga Bayern die Löwen won many games on talent alone and the knowledge that their opponents were mostly part-time footballers. Hence, stamina in the dying moments of a game was seldom an issue. It is a learning process that needs to be concluded quickly. Monday’s opponent Würzburger Kickers sit four points ahead of die Löwen in sixth place. Three points for 1860 and the gap to the top of the table will be just three points off the top of the table keeping alive hopes of the club marching straight to Bundesliga 2. Würzburg, however, have their very own aspirations. “We are heading to Munich with plenty of self-confidence,” 21-year-old goalkeeper Leon Bätge told the media following Würzburg’s 2-1 midweek victory over Meppen. The Kickers started the season with three defeats but have been undefeated for nine matches. Coached by Michael Schiele Würzburg are on the way up. But it is also Oktoberfest time and 1860 want to collect their first Wiesn victory and Monday will be the time to do precisely that. Efkan Bekiroglu started against Unterhaching on Wednesday. Signed from FC Augsburg II this summer the 23-year-old has played for die Löwen‘s academy but failed to break into the first team. Instead, he played for the likes of Phönix München and Unterföhring before being picked up by Augsburg. Failure to break into the first team in Augsburg, however, meant that he was will to try his luck back at his youth club. For Bierofka Bekiroglu is a classical number ten and his presence is supposed to create room for star striker Adriano Grimaldi. Dominic Baumann is another classical Liga 3 striker. Build like a bull Baumann has the physical presence to terrorise backlines. The third division is a difficult league, no VAR and very little protection from referees means that strikers have to withstand tackles and little fouls throughout the match. At the same time, it is also their job to dish out some pain. Baumann can do exactly that as he has demonstrated by scoring four goals and two assists in nine games. Daniel Bierofka was in charge when 1860 lost their only match against Würzburg on matchday 8 of the of the 2016/17 season. The 2016/17 season is the only season the two clubs competed against each other – 1860 lost on matchday 8 but defeated die Kickers in the DFB Pokal (4-3 after penalties) and on matchday 25 (2-1).